Our product engineers at Hunter Douglas Architectural took a fresh look at roller shades, taking the best from decades of experience to create the RB 500 system. Features to solve tricky conditions, ensure smooth and quiet operation, and lift oversize shades with motorized, chain or crank operators. Plus, a few hundred fabric choices. The key feature of the RB 500 roller shade system is its versatility, with components to support motorized, chain- and crank-driven mechanisms. Perfect for commercial applications, this modular system allows installation in a wide range of shade sizes and positions. 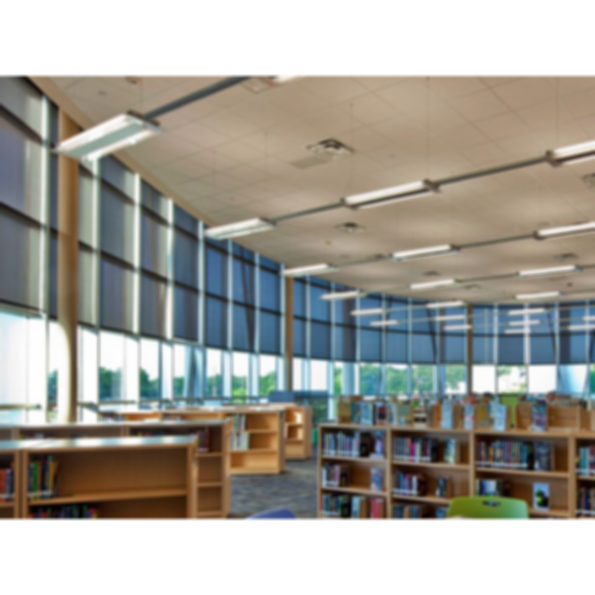 Counter balance weight system provides for ease of lifting roller shades over large expanses. FlexShade ZIP™ Shade Wright Line Inc.
LightBloc Motorized FlexShade Shade Wright Line Inc.